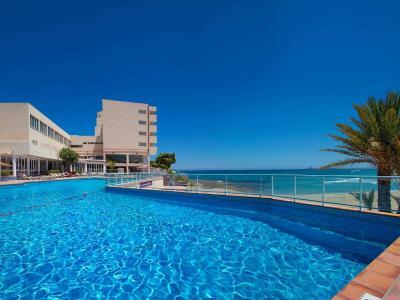 Lock in a great price for Hotel Servigroup Galua – rated 8.7 by recent guests! The food was very good and there was something for everyone. The staff were very friendly and I was able to practice my Spanish with them! The hotel is on a little outcropping so you feel that you are in a building in the sea. 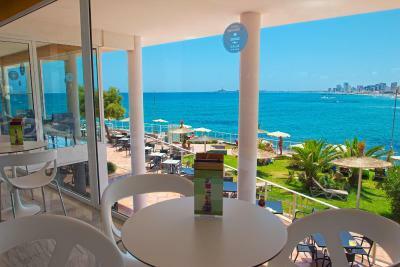 The staff were very attentive and served drinks to you in the restaurant and outside on the terrace. The room was comfortable and the ocean views are great. There is a free safe that you can use and a private entrance on to the beach which is operated via the room card. There is also a small washing facility for your feet just outside the entrance, so you don't trail sand into the hotel. The hotel seemed to be mostly Spanish people (which we like because we like to travel to Spain to be with the Spanish). The food was on par with a higher end hotel's buffet. The service is excellent and the staff friendly. The buffet breakfast and dinner were both convenient and tasty! A nice touch. Views were fab, great terraces and pool. Good evening entertainment. Staff ALLGOOD Room clean fresh everyday Food good Bar staff verygood and rept staff .. my partner and l have used your hotel for more than 20 years that must say something. I have been coming to Galua for 6 years sometimes twice a year. I am in the music Biz and they all know my work.the staff go out of their way to help I love them all. I do think that they could have a shuttle service from the Hotel to the airport. I would like to sing for them all one day if you were to put me in touch with your ents manager. Billie Davis. 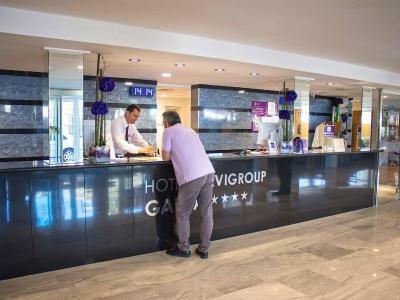 Hotel Servigroup Galua This rating is a reflection of how the property compares to the industry standard when it comes to price, facilities and services available. It's based on a self-evaluation by the property. Use this rating to help choose your stay! 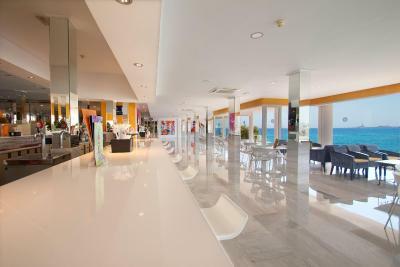 Set on the beach on La Manga del Mar Menor, Hotel Servigroup Galua offers rooms with sea views. It features a seasonal outdoor pool, bar and lounge overlooking the Mediterranean Sea. Each spacious, air-conditioned room at Hotel Servigroup Galua has simple, modern décor. All rooms have satellite TV and free Wi-Fi. 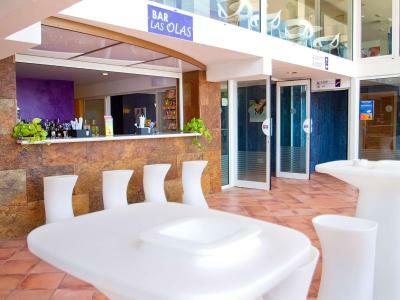 Guests can enjoy a buffet breakfast in the Galua’s restaurant, which offers Mediterranean cuisine for dinner. There is also show cooking and a snack bar. 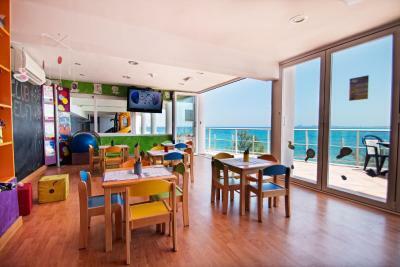 The hotel offers an entertainment program and children's club during the summer months. 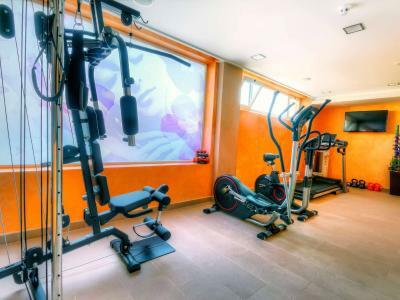 The hotel has a wellness center which includes a sauna, Turkish bath, hot tub, and a fitness center. Local activities include sailing, tennis and golf. 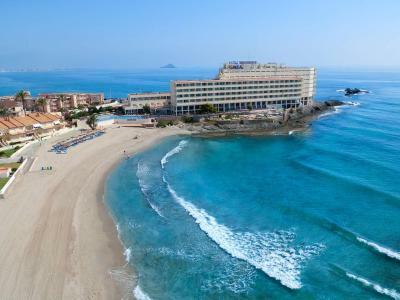 Playa Honda and Playa Paraíso beaches are within 1.2 mi of the hotel. Cartagena is a 30-minute drive from the hotel. San Javier Airport is 25 mi away. 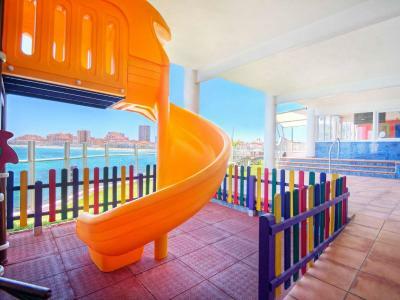 This property also has one of the top-rated locations in La Manga del Mar Menor! Guests are happier about it compared to other properties in the area. 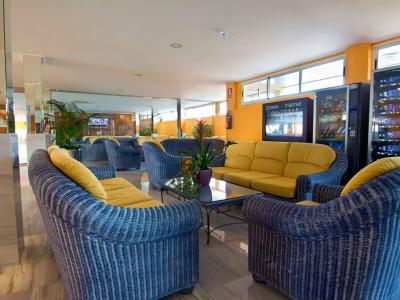 When would you like to stay at Hotel Servigroup Galua? 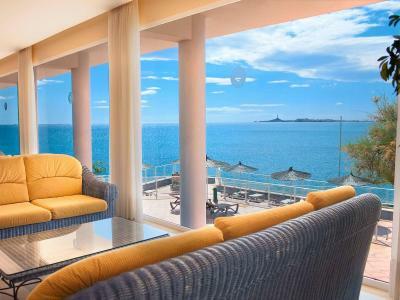 This spacious, air-conditioned room offers a terrace with sea views. It features simple, modern décor, and comes with satellite TV and free WiFi. 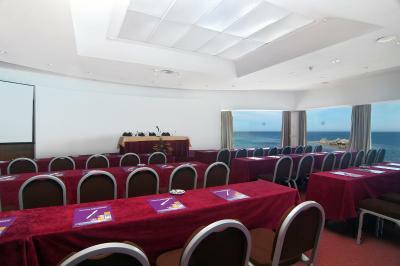 This spacious, air-conditioned room features a terrace with sea views. It has simple, modern décor, and comes with satellite TV and free WiFi. 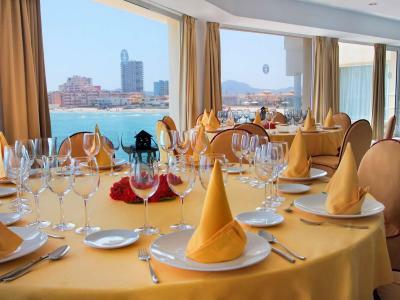 This spacious, air-conditioned room offers a terrace with extensive sea views. It features simple, modern décor, and comes with satellite TV and free WiFi. This air-conditioned room comes with a flat-screen TV, a safe and a mini-fridge. 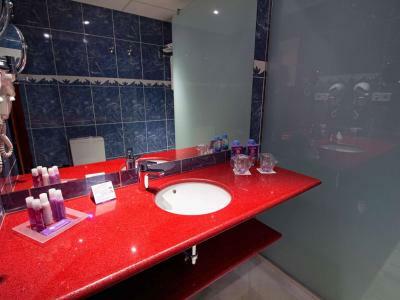 The bathroom includes a hairdryer. 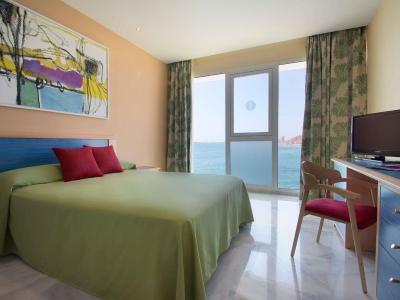 This air-conditioned double room has a large window with sea views. 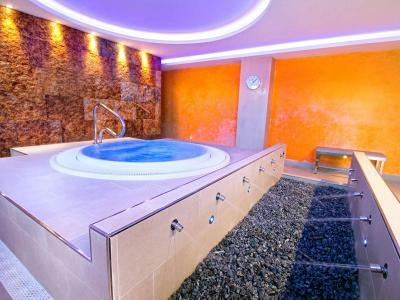 House Rules Hotel Servigroup Galua takes special requests – add in the next step! All children under 2 years are charged EUR 3 per night in a crib. Hotel Servigroup Galua accepts these cards and reserves the right to temporarily hold an amount prior to arrival. Please note that access to the wellness center has an extra cost. Had smaller room with no balcony at first when I arrived. I would not have been very happy in it so changed/upgraded to a balcony room. Just a great location for a hotel. Upgraded to a balcony room which was so worth doing. Fantastic views along the beach. Hotel is clean, friendly and well placed. Food wasn’t brilliant, some of the dishes at dinner were cool. Pool was shut off while we were there. We visited here in April for the first time. On arriving this time, we were recognised and welcomed back by the staff. We found the food much improved from April. The Hotel's location is excellent, comfort and food all very good. to get 10/10 hotel need some refresh. Food very good, nice selection and different dishes each day. great service in restaurant and bar. Each day some events for adults and childrens. Animator PEPE great (rest team also perfect). localisation just on the beach with nice view. with each day you would like stay longer. Swiming pool could be bigger - but i think it is enough.